Yes, it’s pretty simple, and if this sounds like job seekers want organizations to get serious about fixing their candidate experience, well, that’s exactly what they’re saying — and it makes you wonder why so many companies still can’t seem to get that right. Nearly three in five (58 percent) said they want a company to communicate with them clearly and regularly during the entire hiring process. More than half (53 percent) said they want a company to set out clear expectations for them so that they could prepare well. Another 51 percent said that getting feedback from the company, even if they were not successful candidates, would be greatly appreciated. Some 45 percent said that companies should clearly explain the interview process, including how many interviews candidates might need to go through, and who those interviews might be with. Four out of 10 (43 percent) said they wanted a simple and efficient online job application process. If all this sounds like candidates really want organizations to improve their candidate experience, well, it’s because that’s exactly what they want — and it makes you wonder why so many companies still fail to do it. Some 44 percent said an employer announcing layoffs would be a critical factor. Four out of 10 (40 percent) said a poor first interaction with a recruiter or another higher manager would drive them away. Some 35 percent said that reading negative reviews from employees would make them pull out of the hiring process. Three in 10 (32 percent) said they would be put off if they saw negative news coverage about the company. Here’s my take: I think Glassdoor is being awfully kind by saying that recruiters simply need to take this feedback and make their hiring and interview process “more efficient and positive” when it’s clear that a great many organizations just don’t seem to focus much on that at all. I’ve made this point before, but Gerry Crispin, Kevin Grossman and their cohorts over at The Talent Board closely track the state of the job candidate experience, and although their good work has gotten some organizations to improve, there are still far too many companies who need to just walk the talk. I’ve written about the generally poor state of the candidate experience before, and if it sounds like I’m a broken record on the subject, it’s because the terrible way that so many organizations treat candidates simply isn’t getting much better no matter how much I keep hammering on the subject. In fact, it’s gotten so bad that job candidates have taken to doing things like “ghosting” companies and a number of them are just not showing up for job interviews. Although I don’t believe in responding to bad behavior in kind, I understand all too well just how frustrating it is to apply for a job and then get treated like crap by a company that seems to not care all that much about how they treat those who want to work for them. 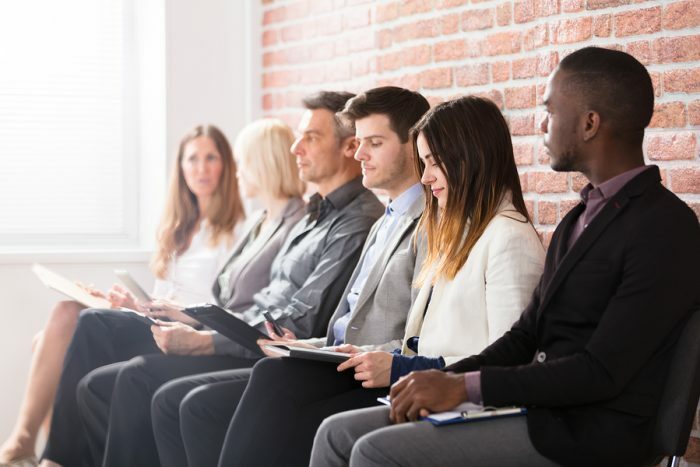 More than four in five (82 percent) of job seekers and would-be job seekers said that they want the entire interview process to take less than a month. Another two in five (40 percent) had an even higher standard — they said that the interviewing stage should take less than a week. As Glassdoor pointed out in a 2017 study, Glassdoor’s Chief Economist Andrew Chamberlain found that the average length of the interview process in the U.S. is 23.8 days. He added, however, that even the jobs with the fastest interview processes take a minimum of eight days or more. In other words, there’s no way that interviewing is probably ever going to get compacted into a week or less no matter how motivated and nimble a company’s hiring managers might be. They also want straight talk from talent managers that is pointed and doesn’t seem like a waste of time. This includes getting respectfully rejected, when that happens, in a timely and courteous manner. When they’re into the interview stage they want it to move along rapidly and have it wrapped up in no more than a month, or sooner if at all possible. This doesn’t sound all that hard, but it makes me wonder: Why do so many companies seem to make it that way? As survey after survey from Glassdoor, The Talent Board, and many others make perfectly clear, if your organization isn’t laser focused on treating candidates the right way, you are simply NOT going to compete for the very best talent. How long is it going to take until more organizations figure that out? About the survey: The Glassdoor survey was conducted by The Harris Poll on behalf of Glassdoor between May 7-9, 2018, among over 1,151 U.S. adults who are either currently employed full-time/part-time/self-employed or not employed but looking for work. This online survey is not based on a probability sample and therefore no estimate of theoretical sampling error can be calculated.